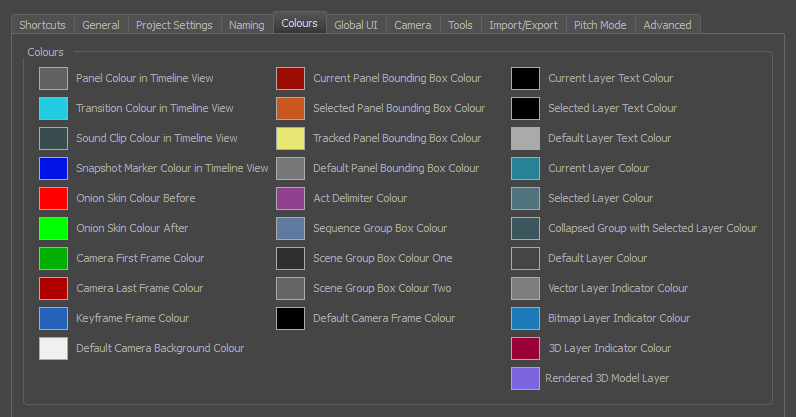 You can select the colours for a lot of coloured elements in the user interface of Storyboard Pro. NOTE Some changes to colour preferences may not appear until Storyboard Pro is restarted or until the affected view is closed and reopened. Click a colour swatch to open the Select Colour dialog box from which you can set a new colour.